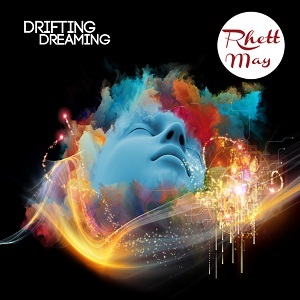 MuzikMan's Reviews And News: Rhett May Releases Brand New Single! Rhett May Releases Brand New Single! Australian song smith Rhett May has returned with a brand new track entitled ‘Drifting Dreaming’. A definitive movement away from his initial offerings, ‘Drifting Dreaming’ is a beautifully constructed release perfect for a commercial market. Blending classical sensibilities with a twist of Indian culture, Rhett May has dazzled a plethora of fans with his latest album ‘Fast Cars & Sitars’ featuring lead single ‘The Violence of Ice’. Rhett does not adhere to stoic past genres but instead is intent on carving himself a path in the music world on his own terms. Influenced by the likes of John Lennon, The Beatles, The Rolling Stones and classical Indian music, Rhett has his own distinct style which he is keen to share with the world.